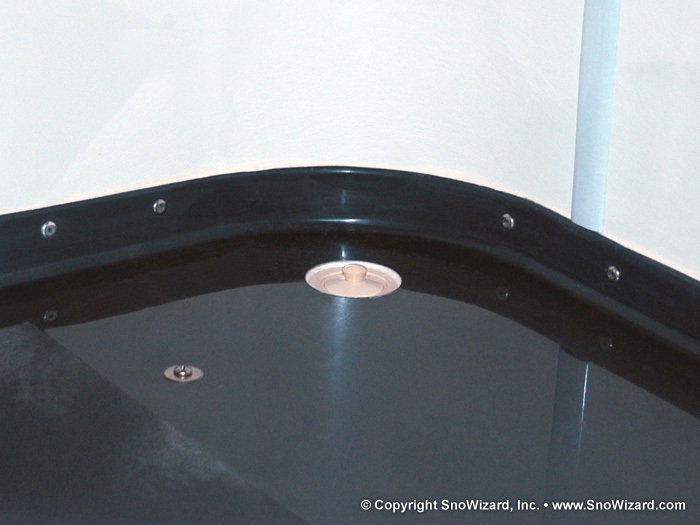 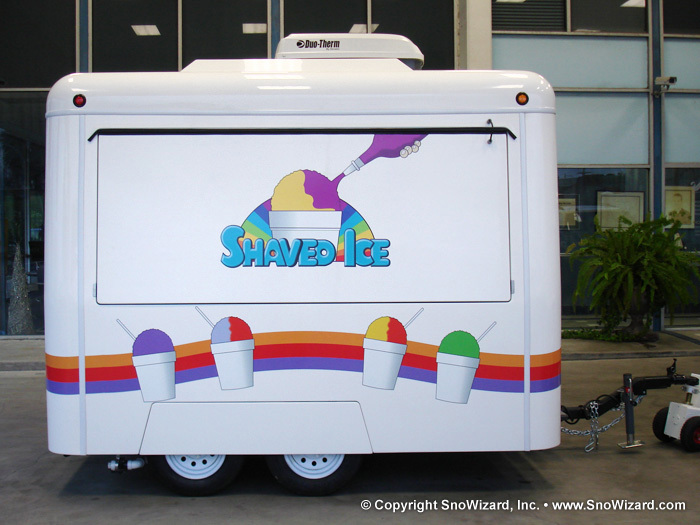 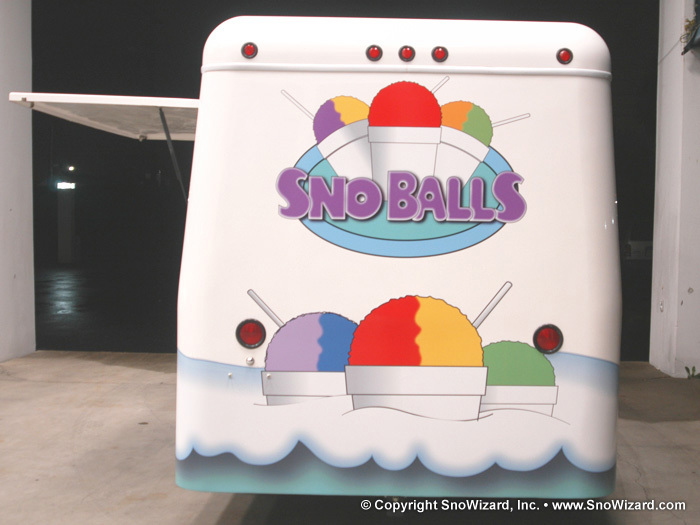 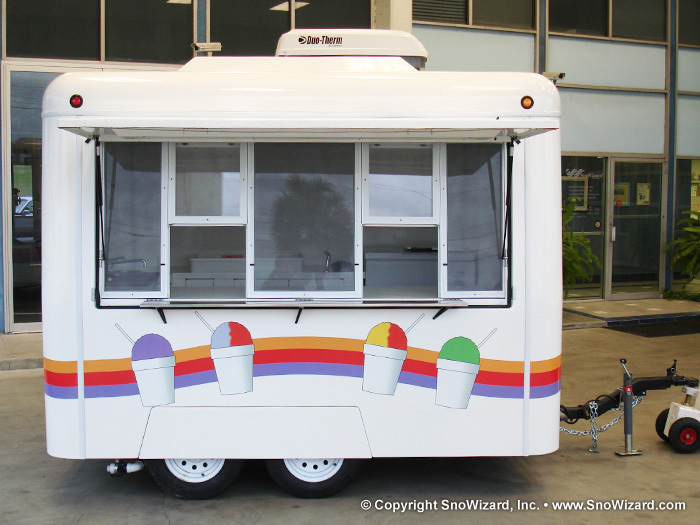 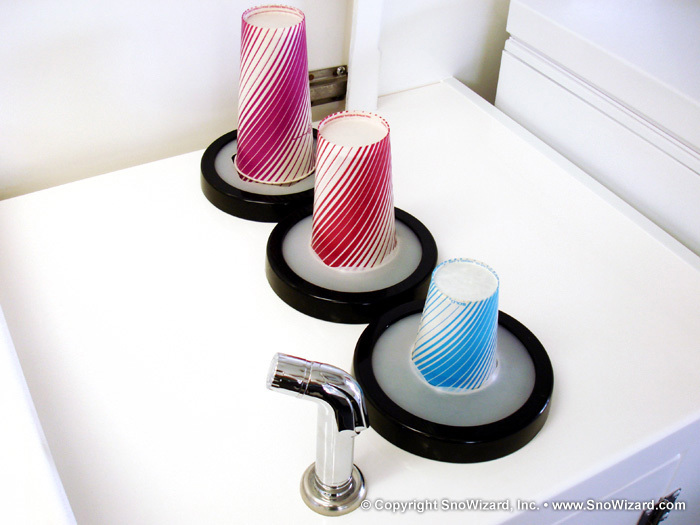 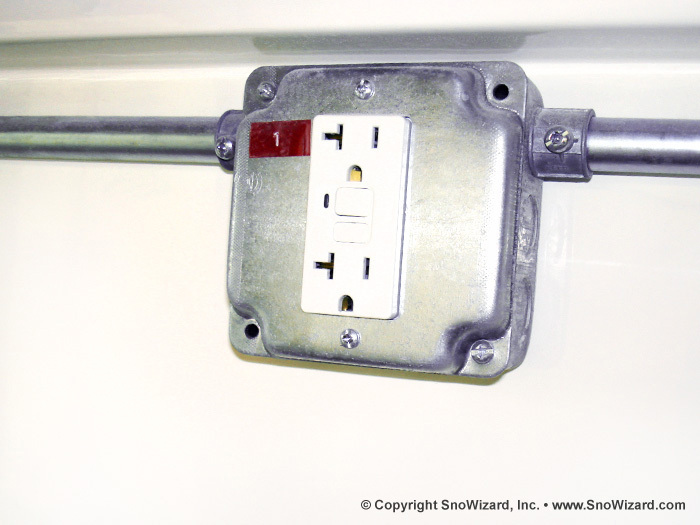 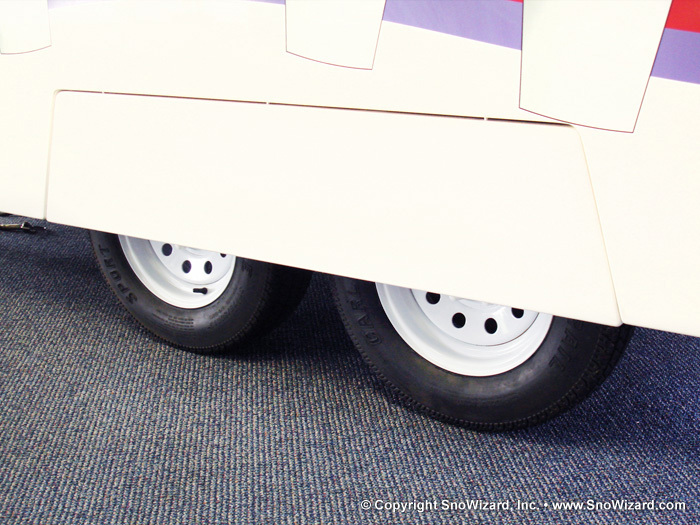 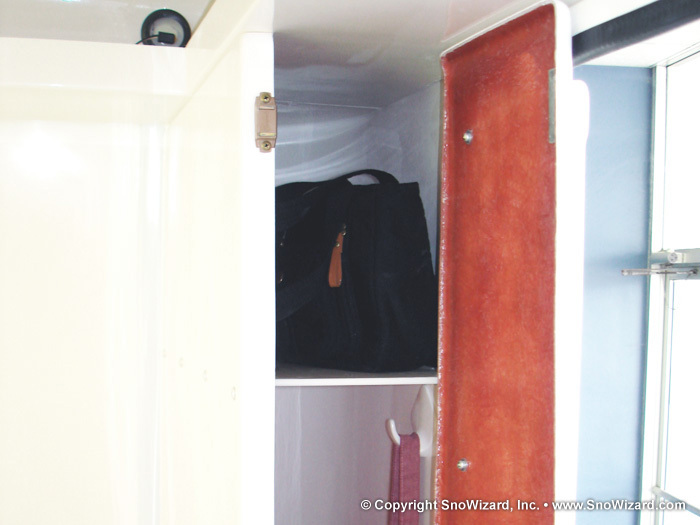 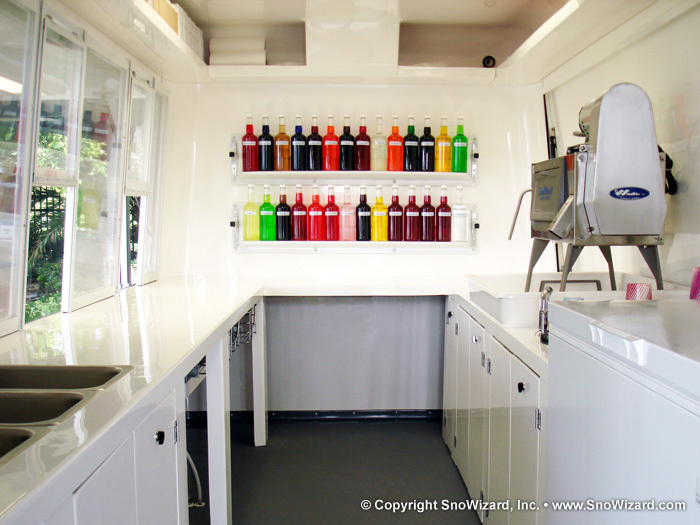 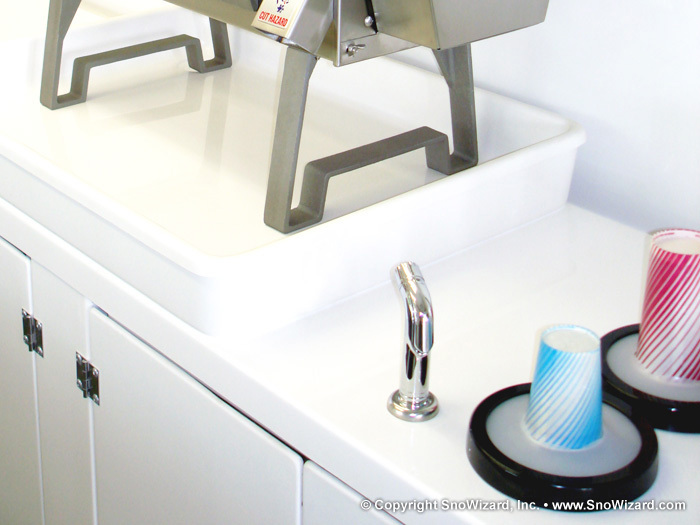 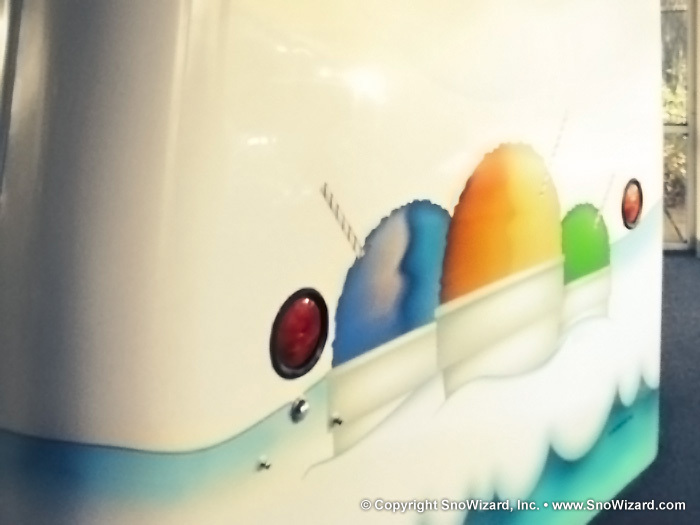 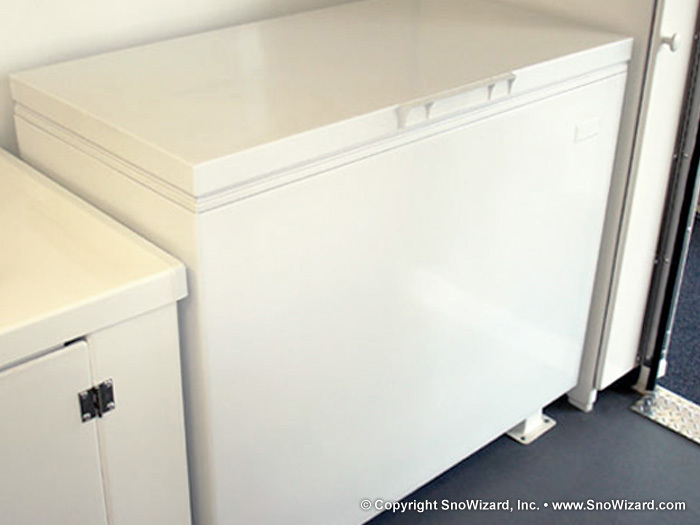 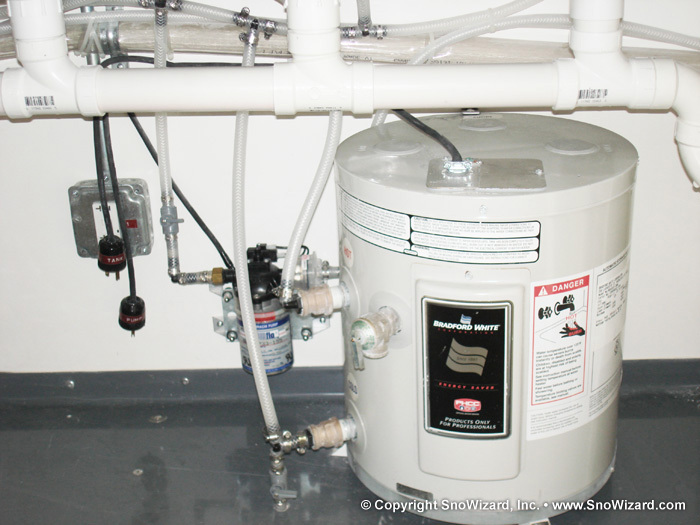 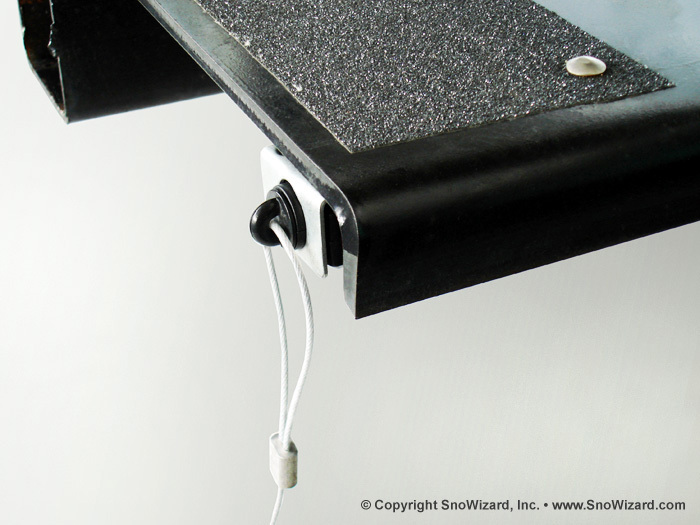 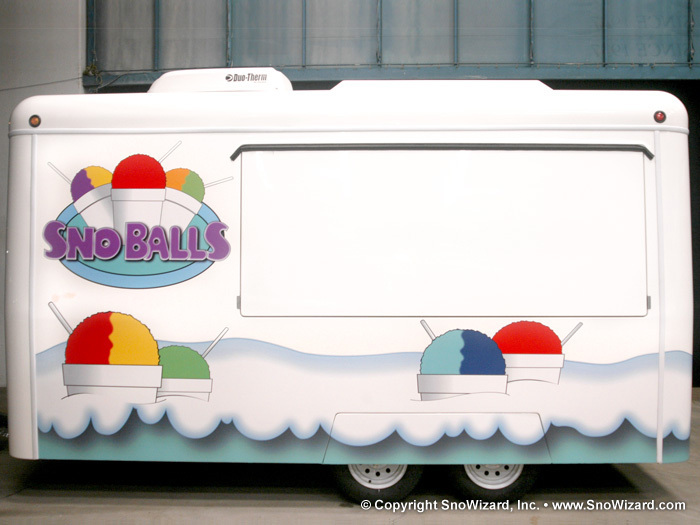 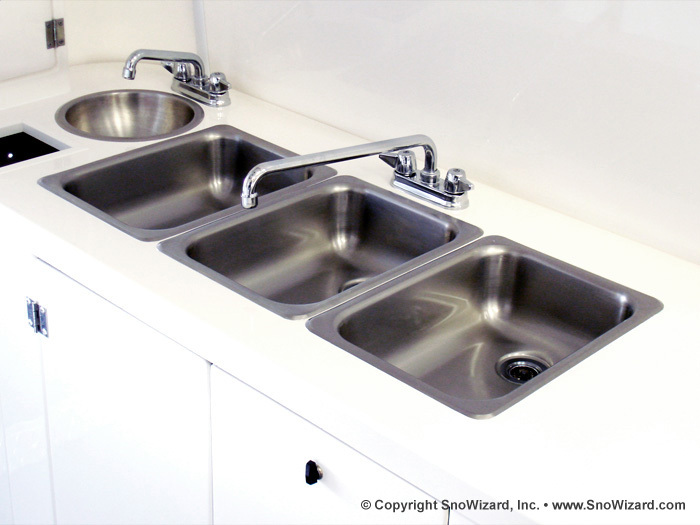 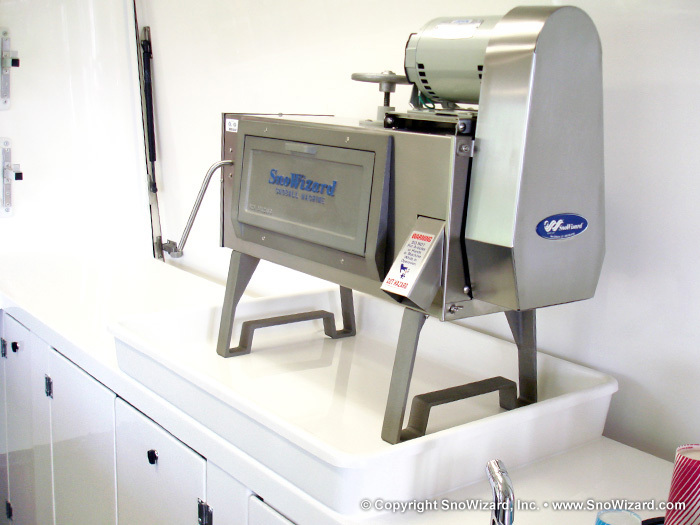 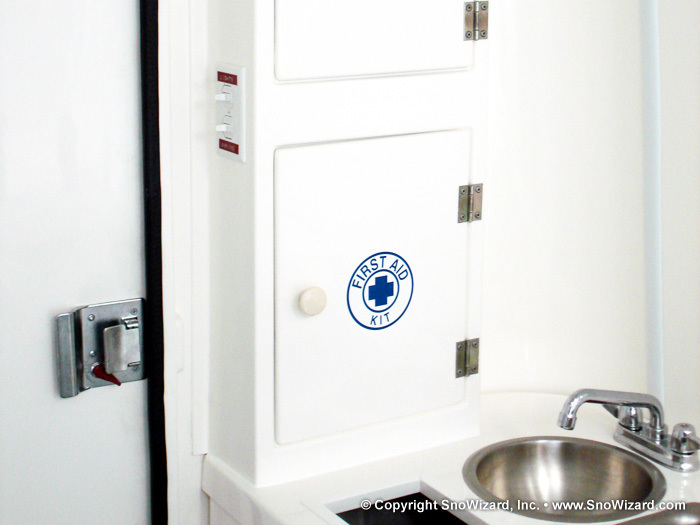 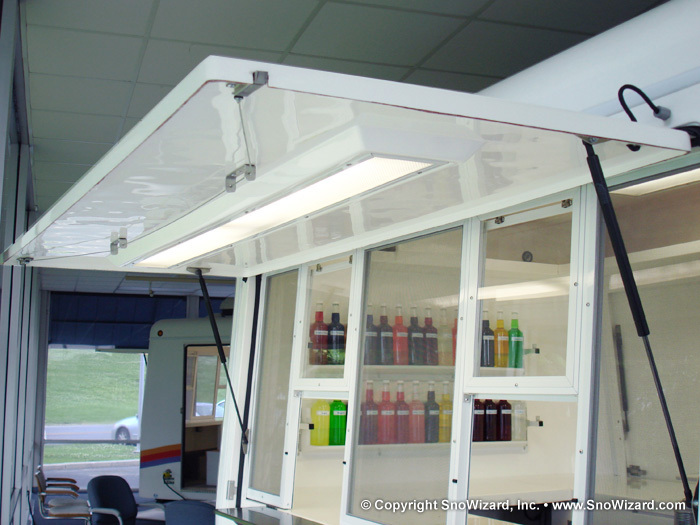 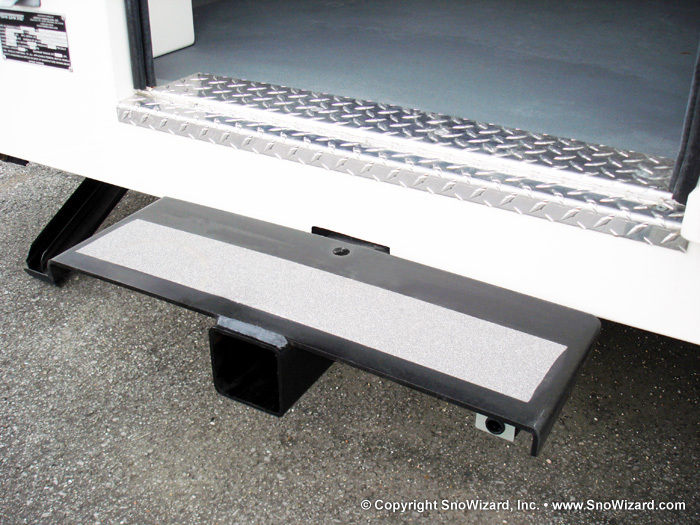 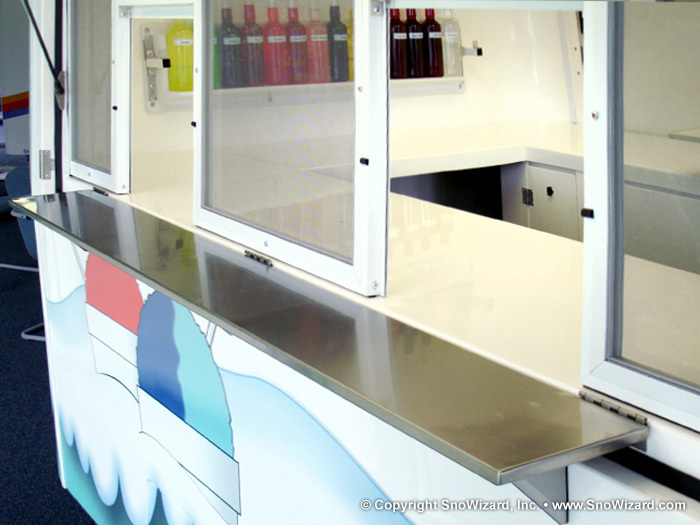 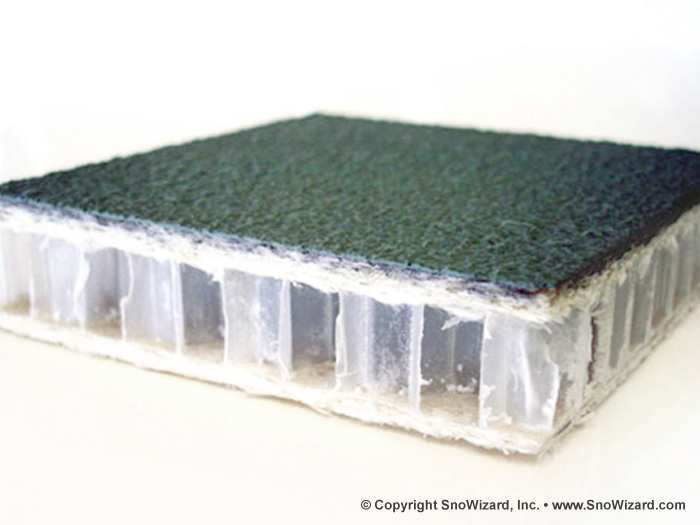 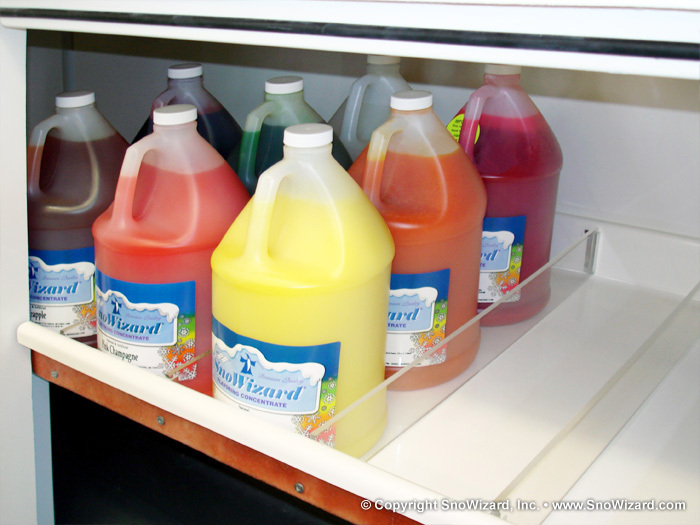 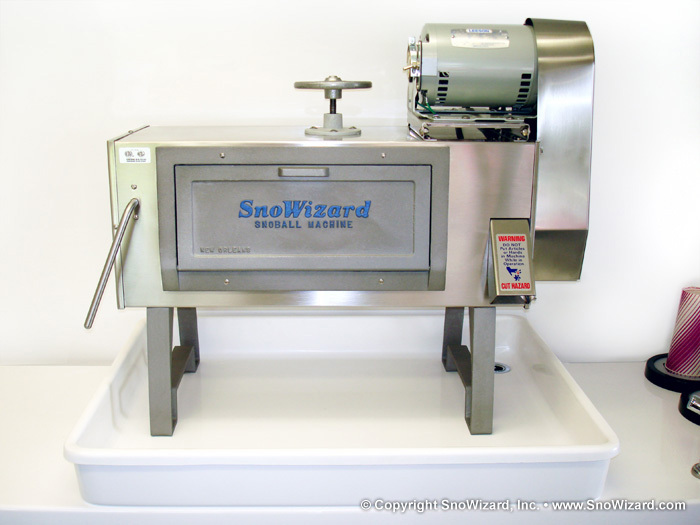 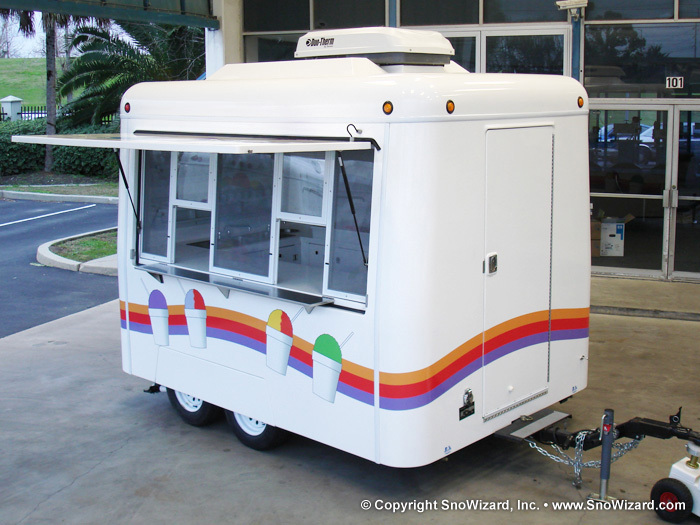 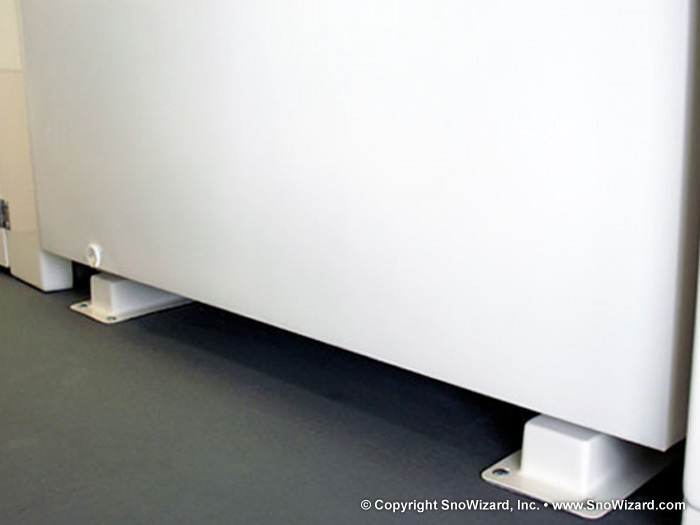 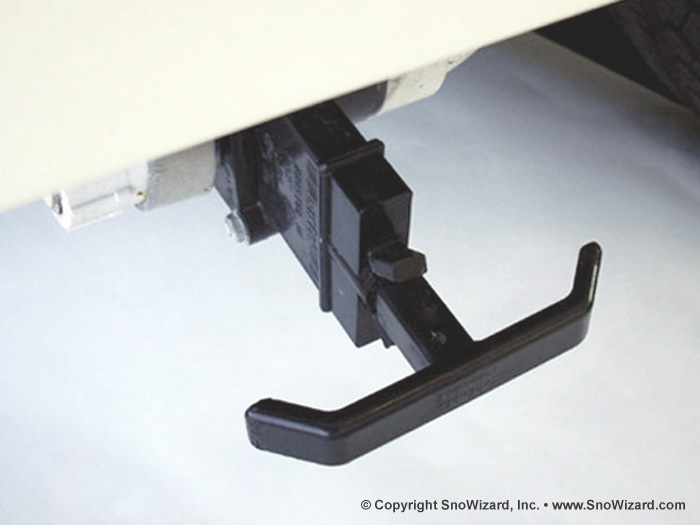 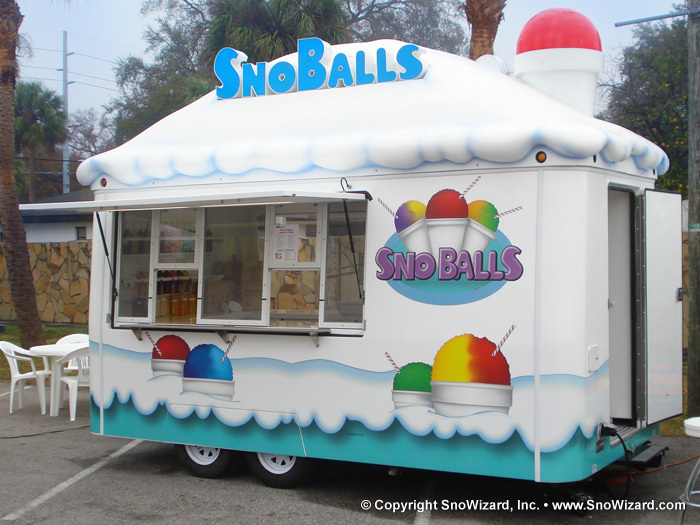 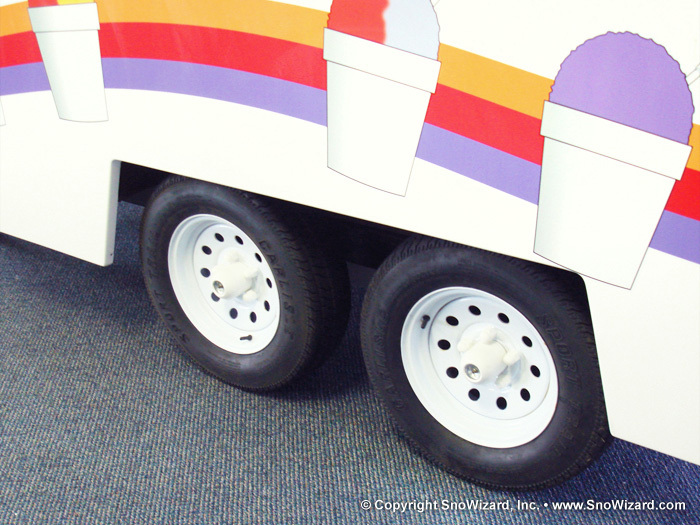 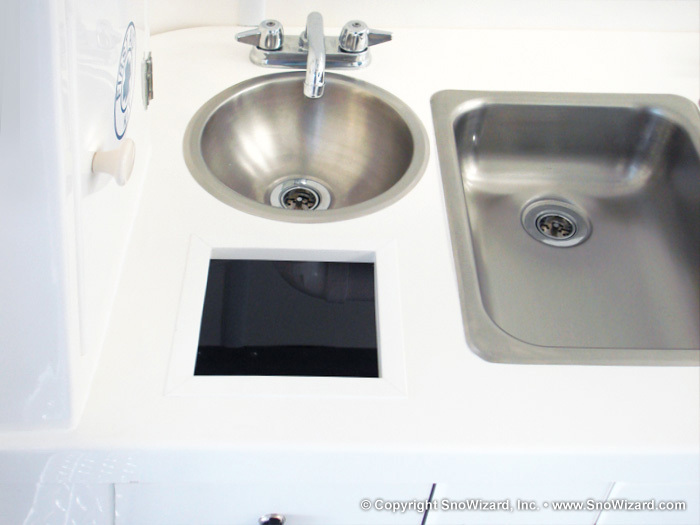 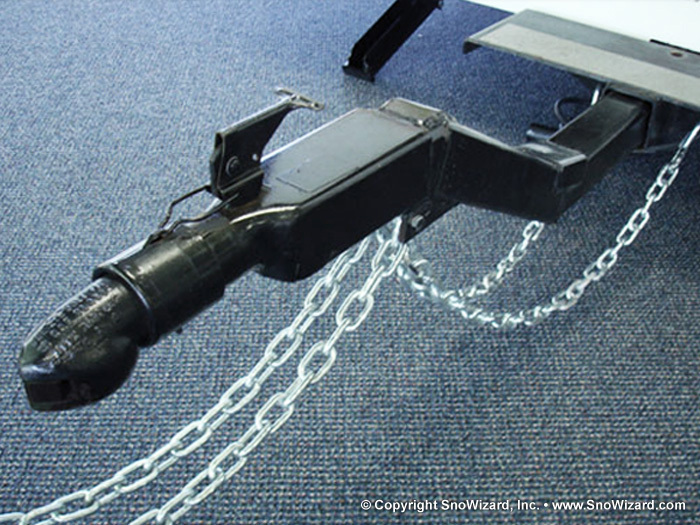 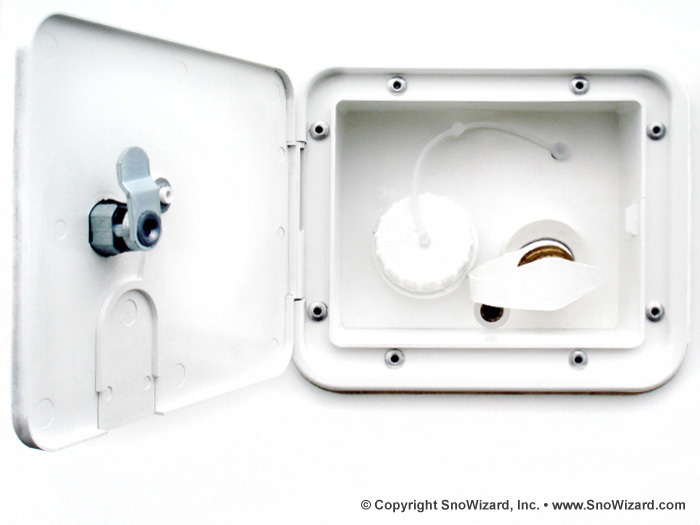 SnoWizard shaved-ice and concession trailers are all manufactured of rust-free fiberglass, which is lightweight, durable, and easy to maintain. 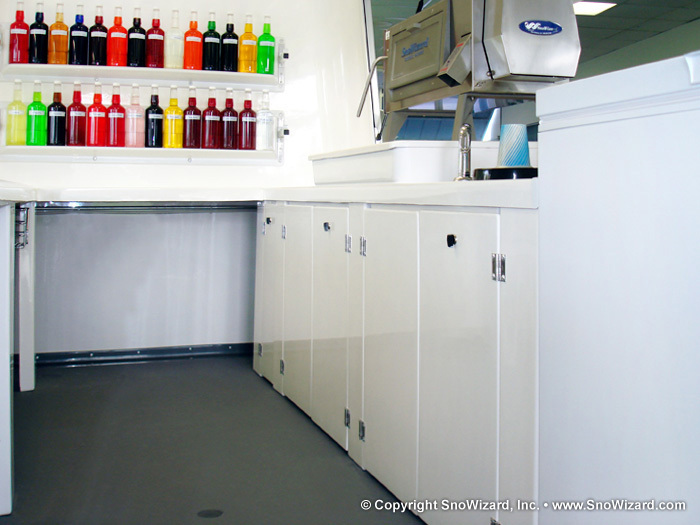 The technology is virtually maintenance free with permanent gel coat on all interior and exterior surfaces that can be wiped or hosed down with soap and water. 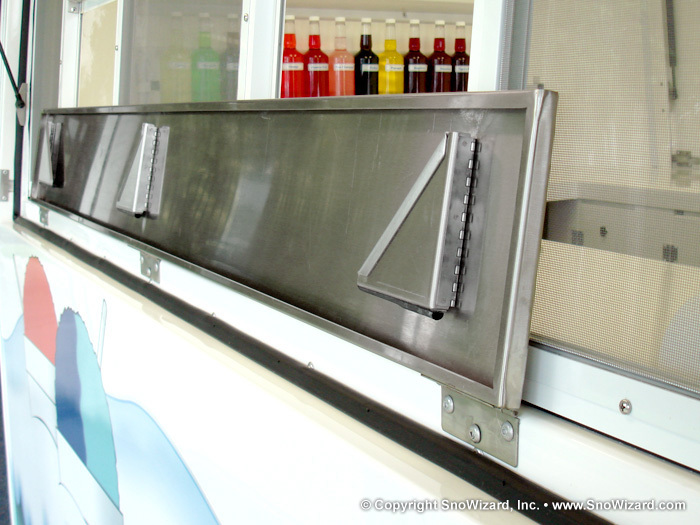 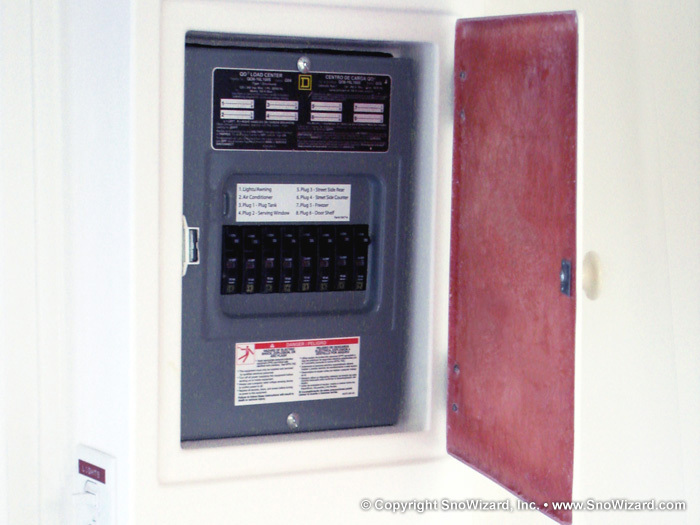 Our modern sleek design with a smooth exterior makes them ideal for graphic applications. 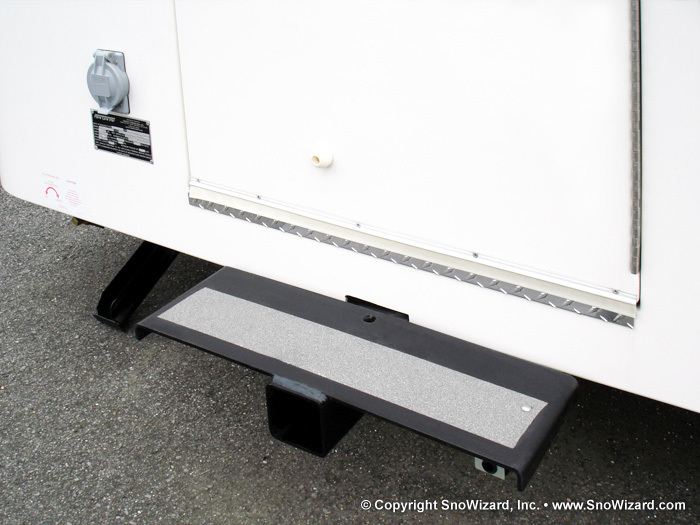 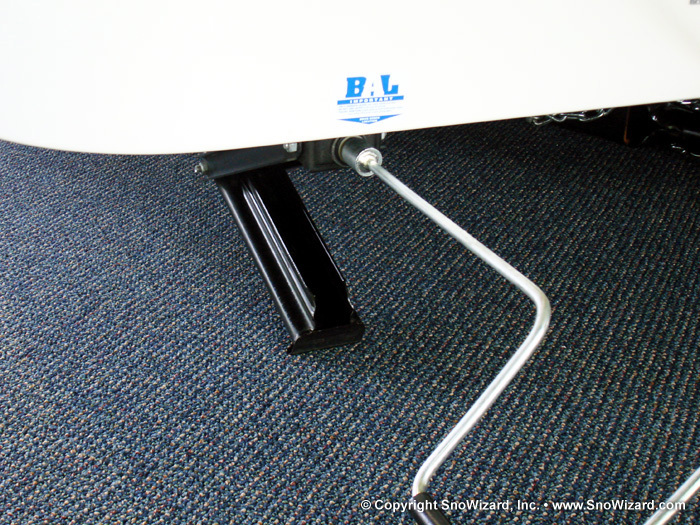 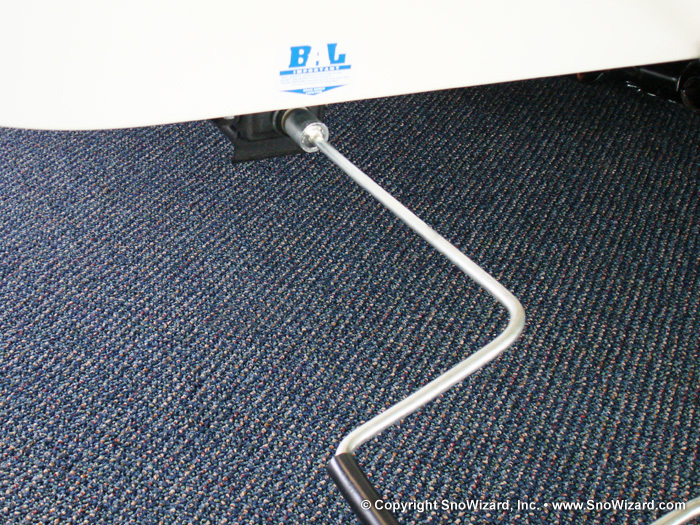 Click here for a pdf brochure on our trailers. 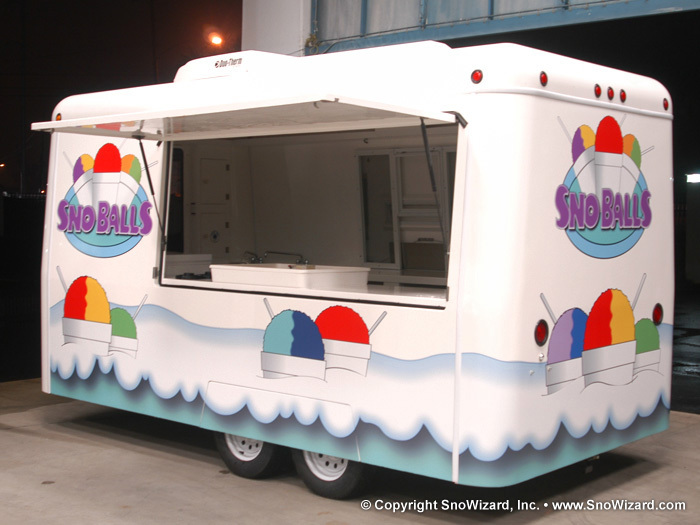 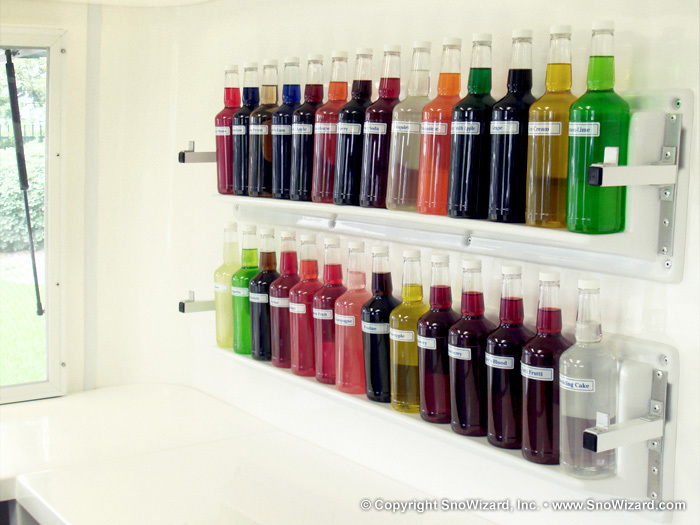 Click on a photo below to take our trailer tour and learn about all of the features that make our SnoBall concession trailers stand out! 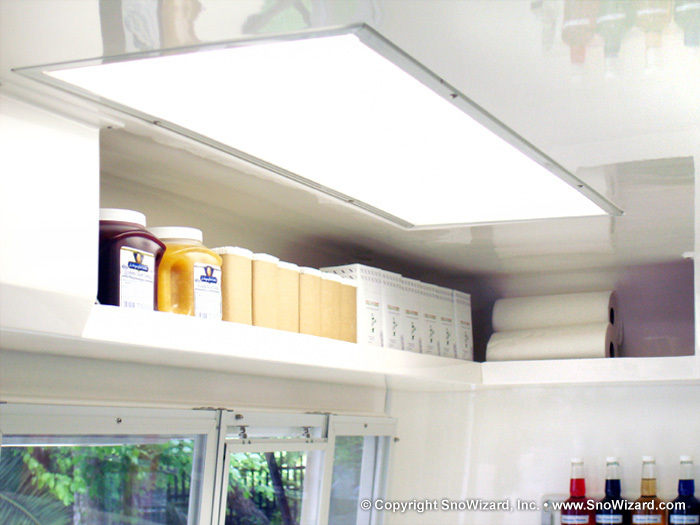 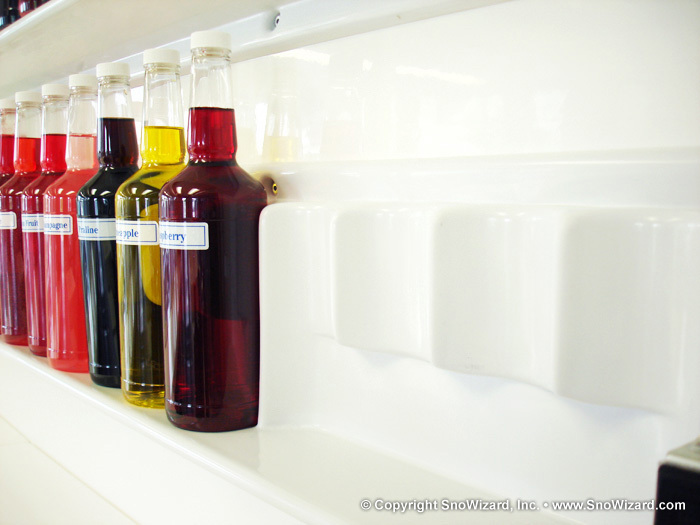 Overhead shelves on all sides for storage or display.